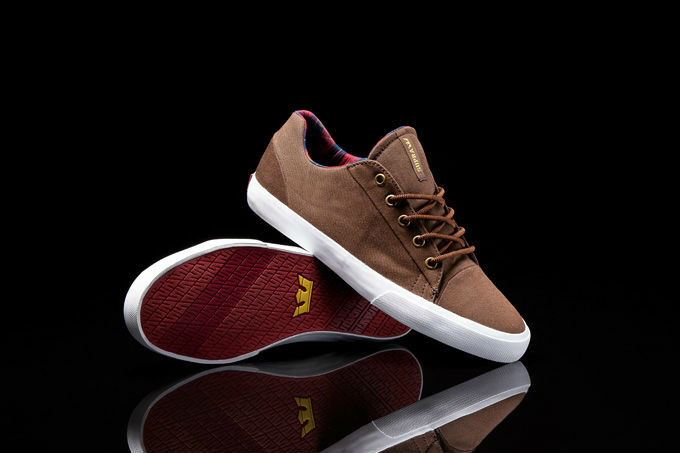 The second shoe in Supra's "Hemingway Pack" is the low-cut Assault, endowed with a brown oiled canvas upper. 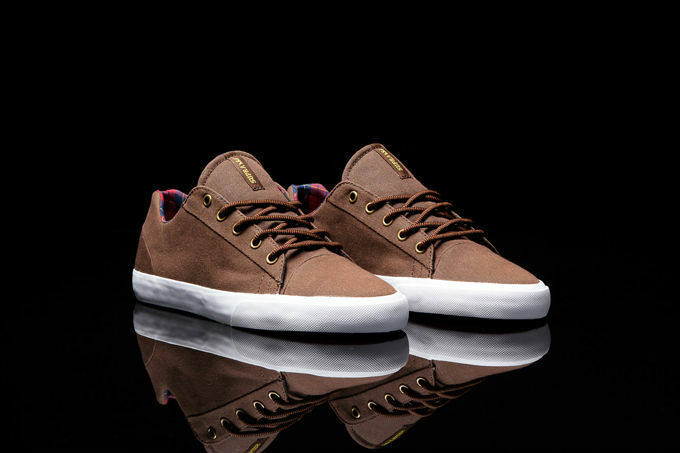 The second shoe in Supra's "Hemingway Pack" is the low-cut Assault, endowed with a brown oiled canvas upper. 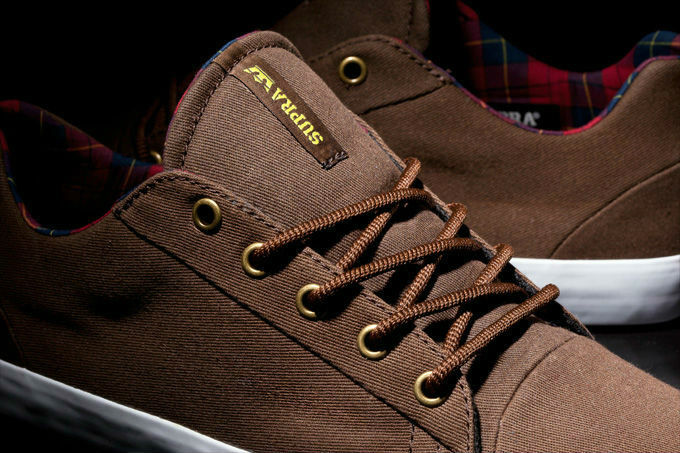 Details include brass metal eyelets, brown rope laces, red plaid lining and a red vulcanized sole with white foxing. Pick up the "Hemingway" Assault at suprafootwear.com and skate retailers worldwide.